The wonder of the foals never fades, each year is a new adventure. Our red dun mare delivered Why's first foal on April 17th. He is a big husky colt with tons of chrome. Four high even stockings and a big blaze. He was born the same color as his dam w/o the dun factor but a week later is already getting white hair in his mane and tail. 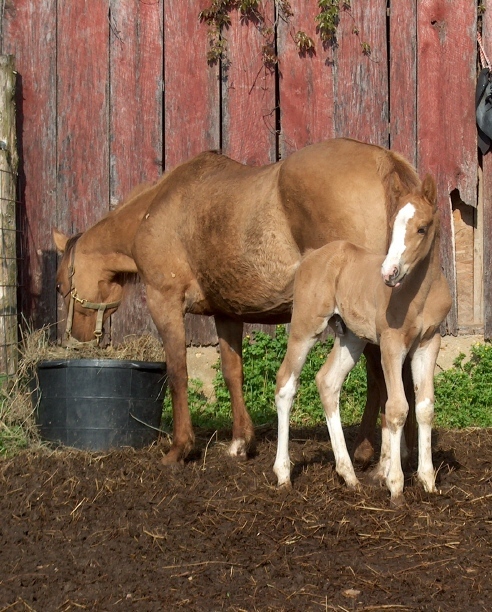 He will finish out as a deep colored Palomino. We are pleased! July 08 - LG is shedding and we are astounded by the depth of his color. He is literally a one in a million. Colt sold. He is for sale - we call him LG, Mom is sticking around to give us another beauty next year. 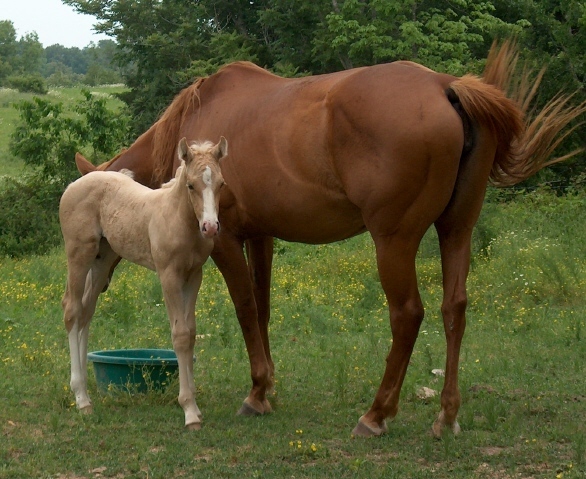 A filly, another Palomino with lots of chrome. Three high stockings this time and another blaze. The mare belongs to friends of ours and is a real good looking gal. This filly is very shapey and has a pretty head. Long legs too. Why did himself proud here! !